As one of the first banks to be established in Oman, we have witnessed first-hand how our country, under the wise and benevolent leadership of His Majesty Sultan Qaboos bin Said, has been transformed into the modern progressive nation that it is today. Since the beginning of our nation’s renaissance in 1970, Oman has evolved dramatically across all sectors, with the banking environment being no exception. And as with any competitive market, for any organisation to survive and thrive it has to also keep ahead of the evolving needs of the market. This is why we began our own transformational journey in 2014; and over the course of the past three years, we have seen our strategy bearing the fruits of success across all aspects of our operations. The transformation strategy saw the bank make a profound commitment towards the retail side of the business, and adopting a more customer centric approach to engaging with our customers. As a result, we witnessed a complete organisational restructuring of the Bank’s lines of business starting in 2014. This was followed by the launch of our ‘Elite’ priority banking shortly thereafter. We also undertook a comprehensive redesign and relaunch of a number of our branches over the past few years; all of which feature an enhanced brand identity with a refreshed look and feel. The sleek, modern, and streamlined look is augmented by a number of new features and systems including a new meet and greet facility with a streamlined queuing system, video walls for bank news, private advisory spaces with moving monitor screens for a more personal experience, together with digital signature pads and ID Card readers within the advisory station design. Most of our refreshed and new branches also feature a separate ‘Elite’ reception, lounge, and offices, in order to provide our premium customers with an elegant and private experience that remains memorable. So far six of our branches have already undergone these changes and all our new branches that have been launched since feature the new Oman Arab Bank look and feel. The remainder of our branch network will undergo similar changes in the near future. Aside from our ongoing branch upgrades, we have also made significant investments to enhance digital banking for our customers, which saw the launch of our new unified digital banking platform in August 2017. The new platform offers customers an innovative icon-based interface that is the same across all touchpoints; either in our branch, via phone banking or online. The result is an enhanced customer experience regardless of whichever method you choose to use; and an innovative approach that is truly unique to OAB. Internally, we have continued to work towards developing our staff, attracting local competencies, and enhancing the skills of its teams in each of its various branches, through programs specially designed for Oman Arab Bank. In fact, last year alone, 947 employees participated in various training courses specifically designed to match their area of specialization. Among the most important of these was ‘LEAD’, a world-class leadership development program. LEAD is firmly centred on developing capabilities and capacities for our Omani staff preparing them for assuming greater leadership positions within the Bank. Having successfully completed LEAD 1 in 2017, the LEAD 2 program is now currently underway with 20 new participants. This LEAD program is also an extension of our efforts towards supporting Omanisation. In fact, as of the end of last year, we have recorded a remarkable milestone in terms of citizens employed within the Bank across all levels, achieving a percentage over 96%. 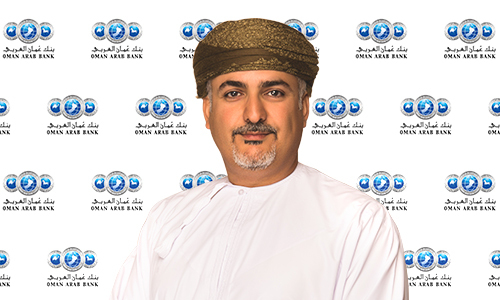 This makes us one of leading Banks in the Sultanate with regards to Omanisation. On the Corporate Social Responsibility front, we continued to play our role in joining hands with the local community and supporting a number of non-profit organisations and initiatives. We also took a new approach last year with regards to community engagement; enhancing the participation of our employees in general social and community activities. This falls in line with our beliefs in the crucial role our staff play in achieving the Bank’s desired social and economic outcomes. All of these changes and advancements reinforce our position as a catalyst for change in the Sultanate’s banking sector. However, these changes and advancements are just the beginning. Over the next couple of years we will continue to enhance and develop new systems, platforms, and services that will see us continue to set the benchmark for technological advancement and customer satisfaction. Most importantly, we remain committed to ensuring that you – our customers – enjoy the very best banking experience possible.